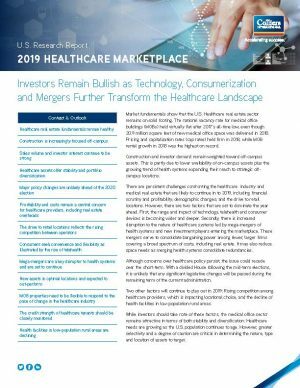 We are pleased to share Colliers International’s 2019 Healthcare Marketplace Report, which shows that the U.S. healthcare real estate sector remains on solid footing. The national vacancy rate for medical office buildings (MOBs) held virtually flat after 2017’s all-time low, even though 20.9 million square feet of new medical office space was delivered in 2018. Pricing and capitalization rates (cap rates) held firm in 2018, while MOB rental growth in 2018 was the highest on record. 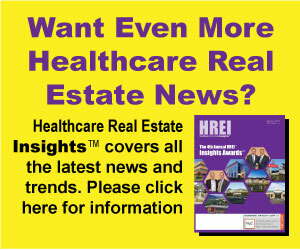 Market fundamentals show that the U.S. Healthcare real estate sector remains on solid footing. The national vacancy rate for medical office buildings (MOBs) held virtually flat after 2017’s all-time low, even though 20.9 million square feet of new medical office space was delivered in 2018. Pricing and capitalization rates (cap rates) held firm in 2018, while MOB rental growth in 2018 was the highest on record. growing trend of health systems expanding their reach to strategic offcampus locations. There are persistent challenges confronting the healthcare industry and medical real estate that are likely to continue in to 2019, including financial scrutiny and profitability; demographic changes; and the drive to retail locations. However, there are two factors that are set to dominate the year ahead. First, the range and impact of technology, telehealth and consumer devices is becoming wider and deeper. 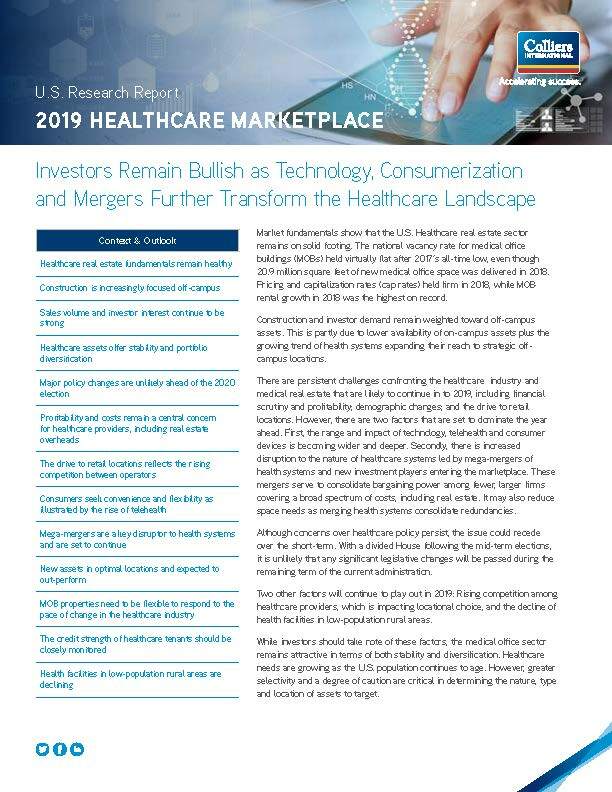 Secondly, there is increased disruption to the nature of healthcare systems led by mega-mergers of health systems and new investment players entering the marketplace. These mergers serve to consolidate bargaining power among fewer, larger firms covering a broad spectrum of costs, including real estate. It may also reduce space needs as merging health systems consolidate redundancies.